Tumi Morake continues to be a formidable force in the male saturated comedy industry. Since beginning her career in smoky clubs in 2006, she has steadily grown into one of South Africa’s most sought after comedians, earning the title of South Africa’s First Lady of Comedy - not bad for a mother of three and wife of one. Morake’s edgy and unpredictable brand of comedy has earned her a place as a headliner on several stages in line up shows and comedy festivals all over South Africa. She’s bold, she’s sassy and you simply can’t ignore her. The first woman to host Comedy Central Presents on African soil, Morake has become relentless in her quest to maintain her footing as a comedy force to be reckoned with. Not one to be limited by borders, Morake’s comedy has seen her wow audiences in Ghana, Zimbabwe and Botswana. Following the success of her debut one woman show Herstory in 2011, Morake took to Scotland in 2013 to tick off a bucket list item: A one-woman show at the famed Edinburgh Festival. Morake has also had some critical recognition thrown her way, being named one of The Free State Province’s Icons. Her recent crowning glories were her nomination for Comic of The Year at the 2013 & 2015 Comic’s Choice Awards and the award for Excellence in Comedy at the prestigious Mbokodo Awards for Women In The Arts, also in 2013. Morake’s continental claim to fame is as the host of The Big Brother Hot Room, a comical round up of Big Brother Africa. Around South Africa, she is known for her television appearances on local sitcoms and the critically acclaimed primetime drama Rockville. Tumi also hosted the popular show on Mzansi Magic on DSTV Our Perfect Wedding season 4 and featured as a Judge on season 1 of She’s The One that aired on SABC 3. 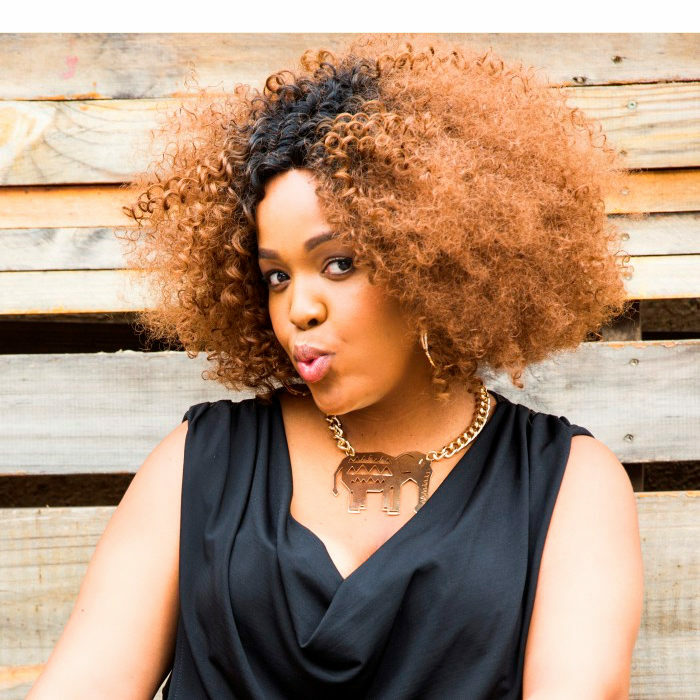 Tumi Morake in true multitasking woman style, has channelled her comedy into writing, acting and producing. She will have her cake and eat it, and even have seconds, because she can.